Dr. Saint has been in private practice in Citrus County since 2007 and has hospital privileges at Seven Rivers Regional Medical Center. His scope of practice includes minimally invasive surgery via laparoscopic and robotic techniques for gallbladder, hernia, colon resection, and hiatal hernia. His practice also focuses on breast cancer, skin lesions, hemorrhoids, and other general surgery. He is certified in hyperbaric wound care and served as medical director of the Seven Rivers Wound Care Center from 2007-2011. Dr. Saint is a Fellow of the American College of Surgeons, a member of the Florida Chapter of the American College of Surgeons, and a member of the Florida Wellcare Alliance. Dr. Saint received his Doctor of Medicine degree from the University of Alabama School of Medicine in Birmingham, Alabama, where he attended from 1998 to 2002. 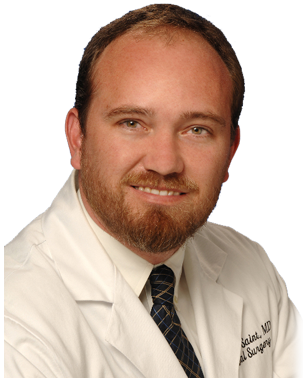 Dr. Saint also completed his general surgery residency at Baptist Health Systems in Birmingham, Alabama, from 2002 to 2007.